"You could have a PC built by Jesus Christ himself and this game still will run at 10fps." In what might feel like history repeating itself, the Caped Crusader appears to be once again under-performing on PC. Since its release yesterday, episode one of Telltale’s narrative-led slant on Batman has been met with a flood of negative Steam reviews regarding the quality of the PC port. Citing resolution issues, in-game lag, wonky animations and stuttering frame rates, among a list of other problems, almost one third of players—347 at the time of writing—have responded negatively. 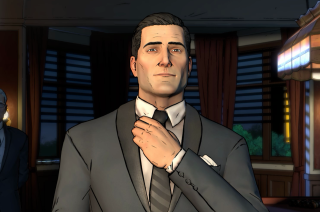 It’s worth mentioning that although James found episode one’s animations to be “stiff and awkward” at times—he also concluded that the game “suffers from Telltale’s design and engine limitations”—he didn’t note any remarkable performance issues. Over two thirds of Steam reviewers seem to be faring well, but I’d suspect a fix is in the works nevertheless. We’ve contacted Telltale for comment and will update as and when we hear back.